my biggest worry about doing a capsule wardrobe wasn’t being bored with less; it was making sure I had enough versatility for all the different aspects of my life, namely my 9-5, school, and down time. I work full-time as an office administrator at a church. our dress code is pretty business casual, which thankfully allows me to use a lot of what I already have. while jeans are allowed, I only wear white or darker wash styles with no rips or adornments, to keep things a little more polished, and I make sure to wear something a little more “formal” on top, like a button-down or a silk-esque top, instead of a more casual option. for this capsule wardrobe, I bought a handful of more polished tops & blouses for this reason. I also incorporated a couple of dresses and skirts to give myself other options that are still casual but look a little more elevated. aside from my job, I’m also a part-time student. during my undergrad days, I’m sure I made some rather dubious fashion choices (read: sweats & sweatshirts). at 26, I’m trying to dress better this time around. this isn’t to say that I show up dressed to the nines. I simply try not to look like I rolled out of bed 5 minutes before class and threw on whatever. at the same time, I want to be comfortable because classes are 6 hours at a time. I often go for jeans, a casual top, a jacket, and flats. lastly, there’s down-time, which consists of low-key weekend dates with my guy, running errands, church, & hanging out with friends. this is me at my most casual, but I still want to look put together. 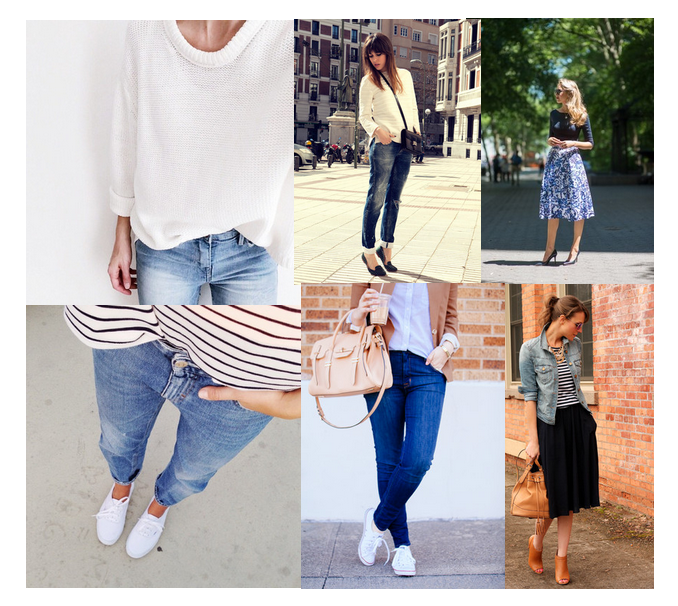 I opt for my more relaxed jeans paired with fun shoes & cute tops. for church, I remix in some of my work pieces as appropriate, like a blazer or a nicer blouse. keeping all this in mind, I think I’ve put together a pretty versatile 36-piece wardrobe that has a lot of pieces that can be dressed up or down, which I think is key. another key thing was making sure I could layer – spring in Chicago is all over the place, weather-wise. I don’t know how things will go when I start working someplace that has a more strict dress code…I’m sure I’ll adjust accordingly, but this is my life right now, and I’m dressing for the present. my capsule wardrobe will be up next tuesday, march 24th. see you then!